It was in pursuit of finally tasting the difference between the two joints that I ventured with my wife on a slight detour on our way to Bryson City, NC to check out Alston Bridges this past Friday. While I say “slight” detour, it turns out that despite Alston Bridges only being a few miles into town all told this took us off track by about 45 minutes. As we stepped into the modest brick building, we were greeted by a “Please Seat Yourself” sign and took a table in the large (but appropriately dated and shabby) dining room in the back of the building. 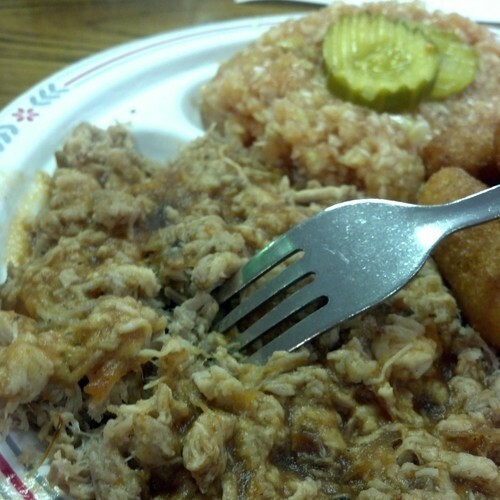 The order was easy – chopped pork plates for both – plus Sun Drop in a bottle. 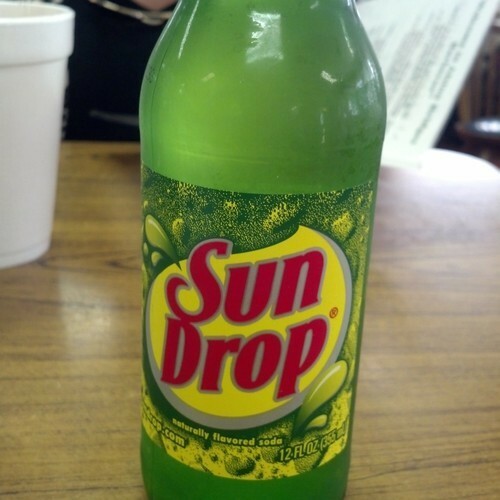 Fun fact: Sun Drop was first bottled in nearby Gastonia. 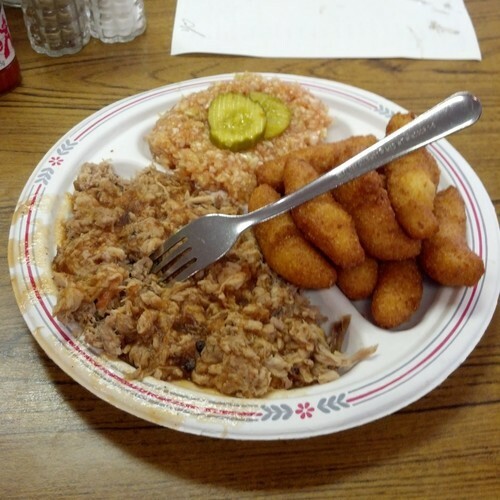 Of course the food came quickly and certainly looked the part of Piedmont-style barbecue – chopped finely with a red sauce, red slaw, and hush puppies. But sadly, it just didn’t hit the right notes for me. The pork was chopped finely and had nice pieces of bark mixed in but was only average – the pork could have had more smoke and the sauce seemed to occupy a territory that was neither sweet nor vinegary, just bland. 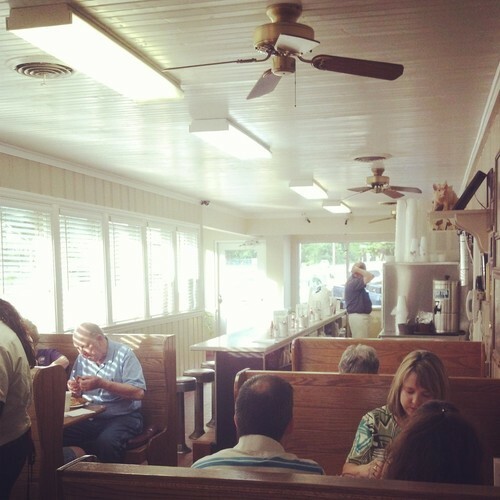 The hush puppies were more bitter than sweet, and I like my hush puppies to be sweet. 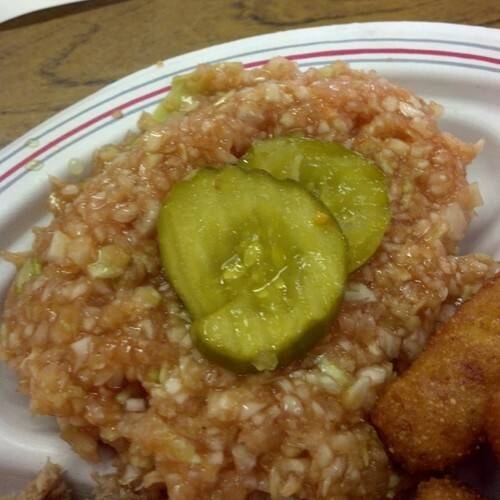 The red slaw was passable but had a pickle on top (a first for me), which seemed a little weird. All told, it was an average meal. 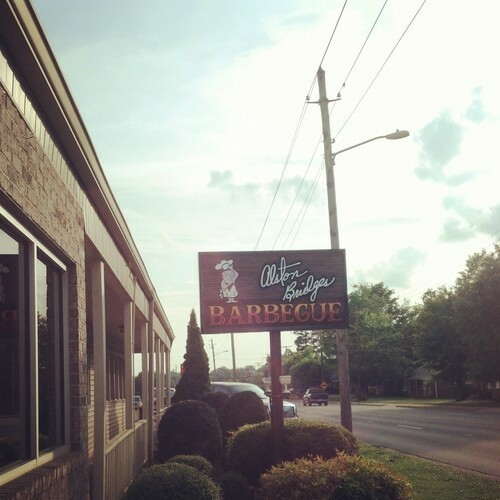 I’m sure there are locals that would fight me over this conclusion, but both my wife and I left a little disappointed that we didn’t stop at Bridges Barbecue Lodge instead. Update: I do want to add that the service was outstanding and everyone was extremely nice. 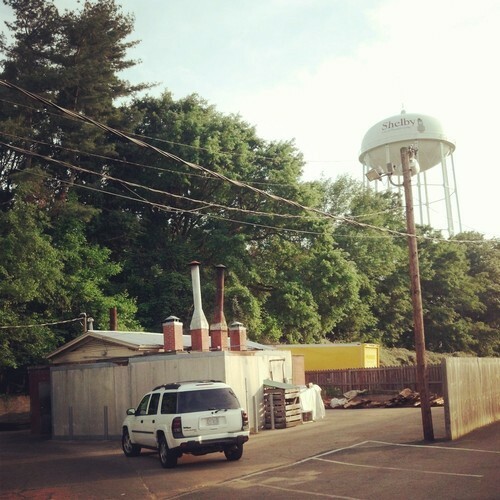 I did snap some photos on my way out of the smokehouse and wood pile out back so its at least assuring that they do cook it the right way (even if its not for me) (Update 2: A commentor below pointed out that Alston Bridges has actually switched to gas cookers and the woodpile is just for show). While it’s too bad that the barbecue wasn’t better, at least this clears things up nicely for me. On future trips to western NC, I don’t have to worry about spending extra time and gas to mix in visits to Alston Bridges; instead I’ll just stay on 74 and stop at Red Bridges as per usual. 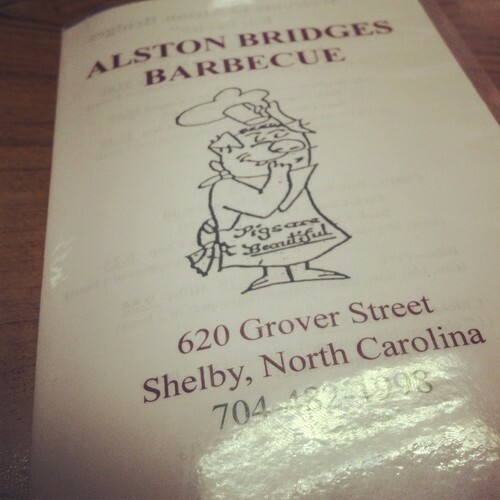 In the battle of Bridges barbecue joints in Shelby, Red defeats Alston easily.